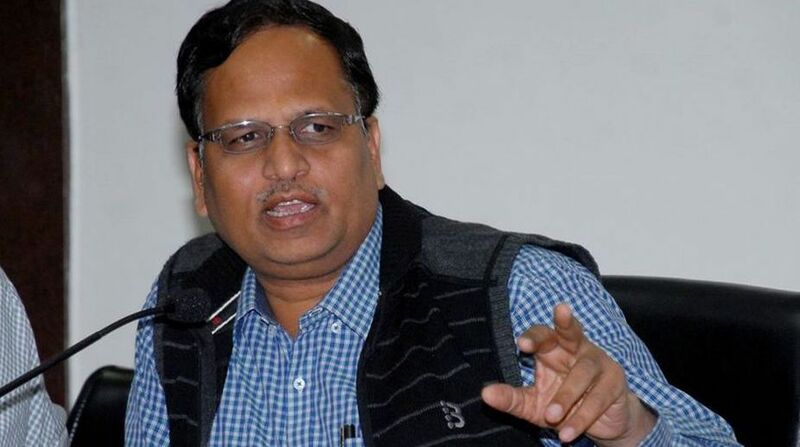 Delhi Urban Development Minister Satyendra Jain has filed two criminal defamation complaints against sacked Water Minister Kapil Mishra and BJP legislator Manjinder Singh Sirsa, court sources said on Friday. The matter will be taken up by court here on May 29. Jain has accused Mishra, who has also been suspended from the Aam Aadmi Party, of making defamatory statements against him. "On May 7, Mishra made a blatantly false, misleading, baseless, and defamatory statement before the media that the complainant (Jain) handed over Rs two crore to Delhi Chief Minister Arvind Kejriwal on May 5 at his residence," Jain said in his complaint before the court. The minister said Mishra is continuing with making wild allegations and statements before the media and thereby creating apprehensions in the public mind regarding the Delhi government's functioning. Jain said these statements were repeatedly telecast and printed by the national media across all platforms — electronic, print, and social — which caused immense damage to him and his family. He also accused BJP legislator from Rajouri Garden Manjinder Singh Sirsa of making defamatory statements.